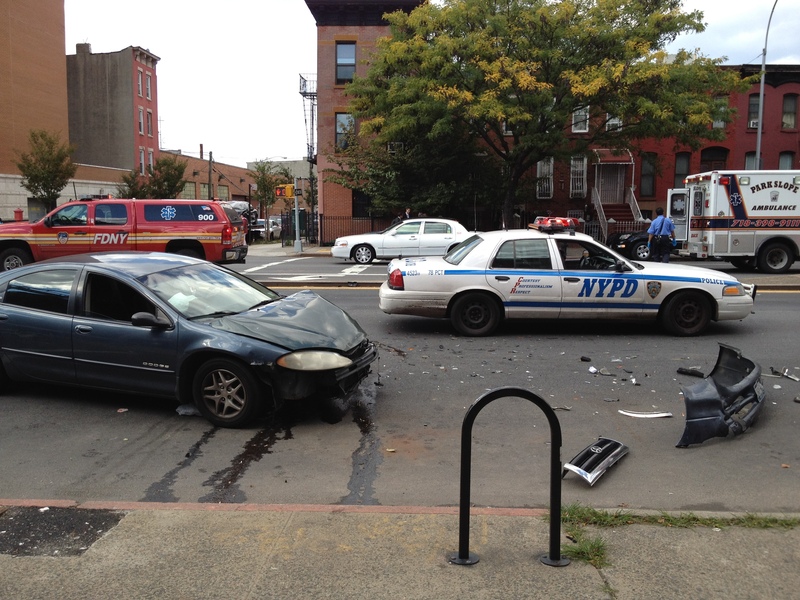 Here was the scene on Saturday at 4th Avenue and Baltic Street across from my apartment building. According to a person I spoke with who witnessed the incident, one of the cars ran the red light and hit the other. Some might call this an accident, but when a driver runs a red light the consequences of that action are hardly the result of chance. I saw one person on a stretcher being loaded into an ambulance; no word on whether it was one of the cars’ occupants or a pedestrian. 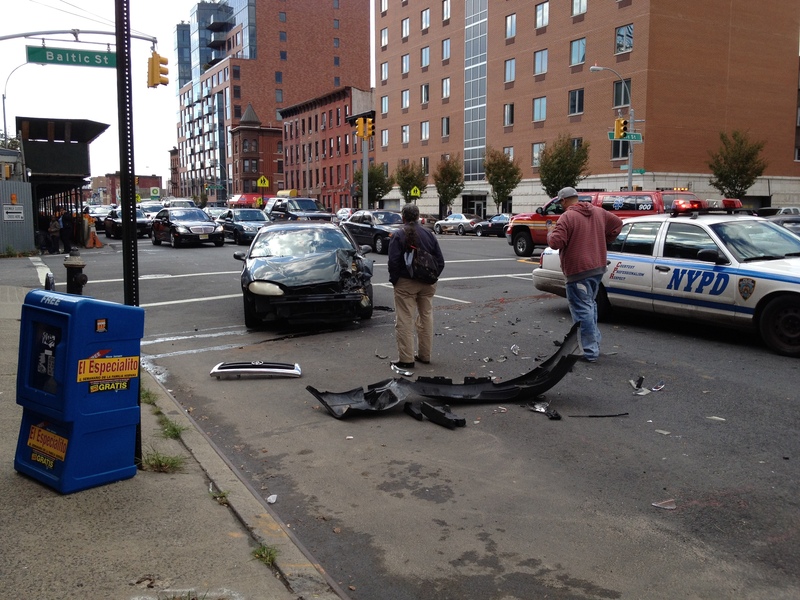 The debris was cleaned up later, but the bumper was still on the sidewalk on 4th Avenue as of Monday morning. When Fourth Avenue is not choked with morning rush hour traffic it’s a speedway, and for cars to sustain damage like this it’s likely that at least one of the motorists was driving faster than 30 mph. 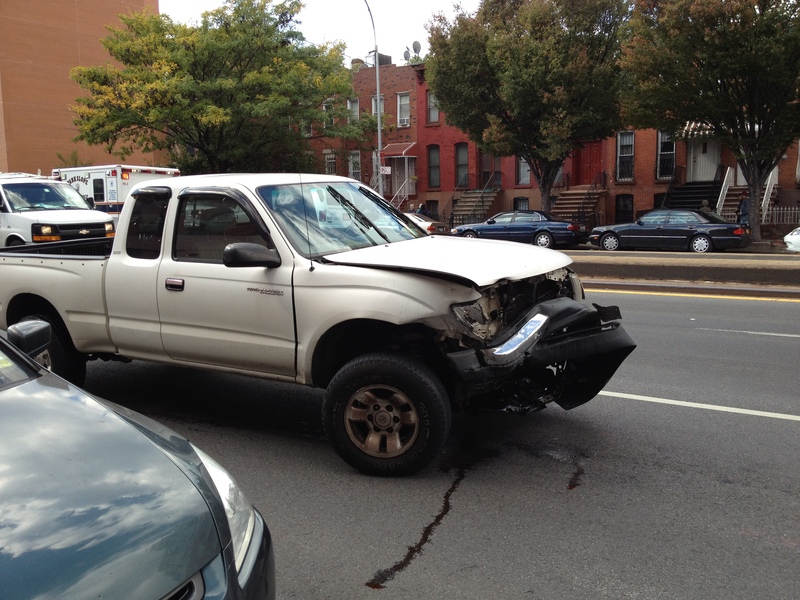 According to CrashStat, there was a pedestrian fatality one block away near Warren Street in 2004 and too many other cyclist and pedestrian injuries in the past seven years to tally right now. As a parent who pushes his daughter in her stroller across Fourth Avenue every day, traffic calming and pedestrian safety enhancements can not come fast enough.